Jonathan Young is a driven and passionate lawyer. He puts his clients first, in a professional but personal manner. Jonathan graduated from DePauw University in 2003 with a bachelor's degree in Political Science after multiple Dean's List recognitions. He completed law school at Indiana University - Indianapolis in 2006 and was admitted to the Bar in Indiana that same year. Mr. Young worked for a local general practice law firm during law school that handled criminal law, municipal law, discrimination, and other civil cases. He then served as law clerk to a local county judge. Mr. Young went on to serve as attorney for the Indiana Department of Child Services. 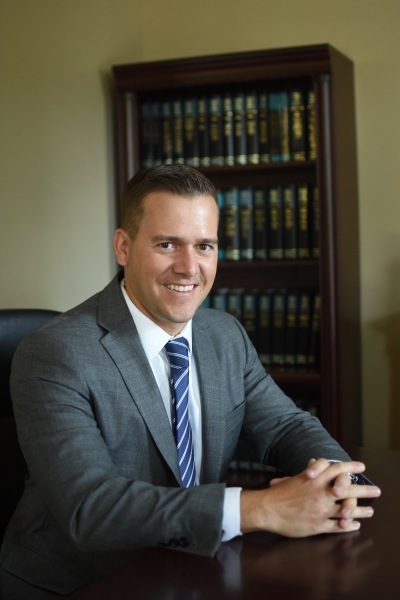 While there, he gained extensive trial experience in Warrick, Vanderburgh, Posey, Knox, and Gibson counties prosecuting child abuse and neglect cases. He also previuosly served as a public defender. Now, he handles a variety of legal issues as the owner/operator of the Young Law Office. Jonathan is committed to Southwestern Indiana as a life-long resident of Warrick County. He is passionate about providing quality representation to our residents. In Mr. Young's private life, he is married with two children. He enjoys sports, staying active, and spending time with his family. In re the Termination of Parental Rights of A.N.W. and A.D.W.